In what was surely the most exciting race of the year in both the men’s and women’s fields, Lincoln outlasted Boothy in a tug-of-war for the ages, while Olivia overpowered the home-nation hero in the second half of the 10km race to put a hold on Sonni’s World Title victory parade. Despite one of the toughest fields of the season, the two Australian guys led from start to finish after breaking the field at the 500 metre mark and never looking back. 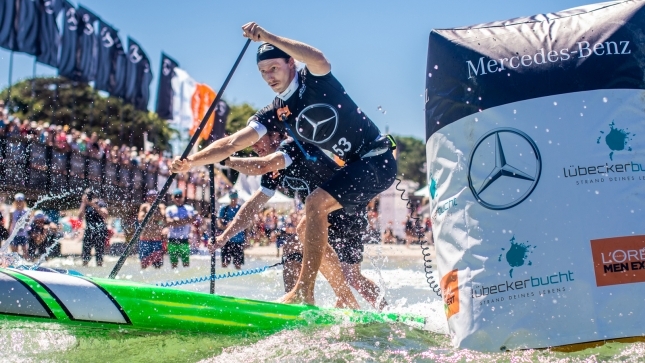 The two battled side-by-side, quite literally, for much of the course, before Lincoln pulled marginally clear in the bumps on lap five of six then paddled like a man possessed on the final 1.5km loop to secure victory. Lincoln’s win caps off a remarkable string of results in Europe–the DEEP/QB team rider was runner-up in the other two majors (Bilbao/Hossegor) and seemed “dew” for a win this week. Olivia mirrored Lincoln’s efforts by upsetting the runaway ratings leader, Sonni, in what was also a classic duel between the two strongest women on the water this season. Sonni started the race strong and established an early lead, but Olivia powered home in the back half to win by almost a minute. The German powerhouse still holds a commanding lead on the women’s World Rankings, but Olivia now has a mathematical path to the title following her 100-point coup this afternoon. 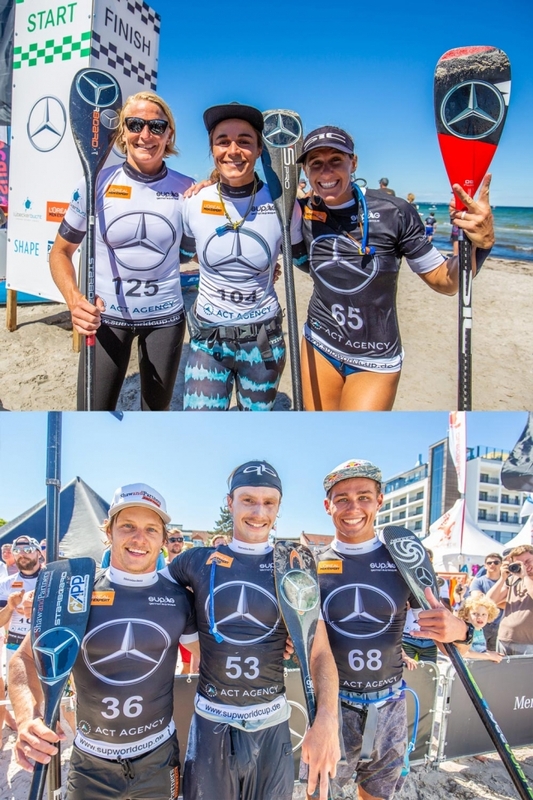 Others to impress in Scharbeutz included podium-getters Arthur Arutkin and Seychelle, who both stayed within sight of the leaders, while Connor Baxter/Marcus Hansen and Fiona Wylde/Angie Jackson rounded out the respective top fives. Angie’s performance was particularly impressive considering she started in dead last place following a hectic start that saw half a dozen women confused and stranded on the line. 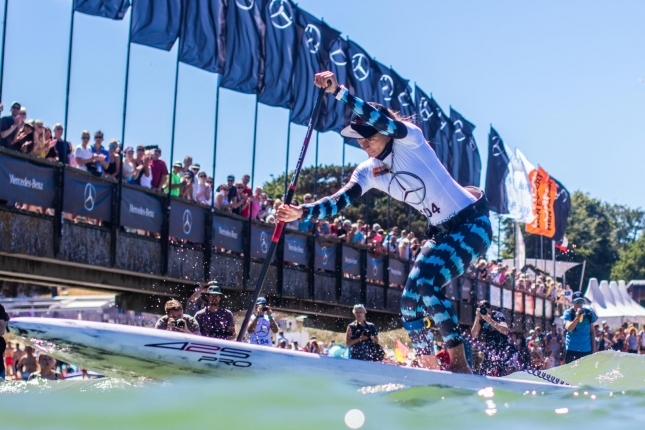 In addition to being stop #7 on The Paddle League World Tour, the SUP World Cup was also week 9 out of 10 for The Euro Tour, with Boothy and Olivia securing the European crowns after enjoying dominant summers.